Grocery stores carry two different types of produce- organic and inorganic. There are different reasons why people choose one or the other. Organic foods are grown and harvested in areas that are free of synthetic fertilizers, hormones, and other chemicals. They tend to have higher levels of antioxidants and nutrients than inorganic foods; however, many people tend to stray from them because of the higher cost. 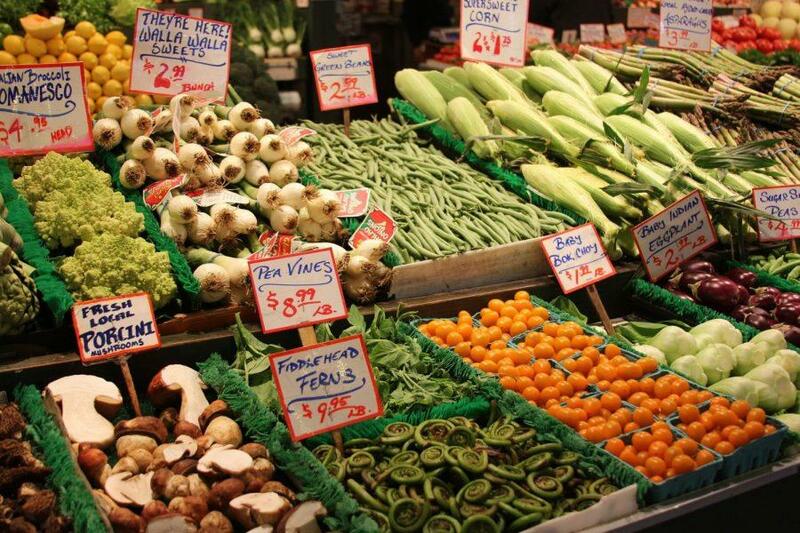 Are organic foods worth the extra money? A USDA seal has been created to certify that a food is at least 95% organic. This can help people who are trying to consume organic foods. Most organic foods have been found to contain higher levels of nutrients than a traditionally grown, inorganic food. One study discovered that the vitamin C levels in berries and corn that are grown organically are 52% higher and have a 58% higher amount of antioxidants. This goes to show that those pesticides used in traditional farming can have a negative effect on the foods we consume. Organically grown plants are creating more antioxidants to fight off the things that pesticides are designed to fight. Organic meat, eggs, and dairy products have been found to contain a lower amount of saturated fat and a higher amount of omega-3 fatty acids. This can be beneficial because omega-3 reduces the risk of heart disease. Organic foods have been found to contain 48% lower amounts of cadmium, a toxic metal, than inorganic food. There is not enough in the food to be life-threatening but has been found to cause kidney damage over a long period of time. Organic foods sound great, but they do have a few drawbacks. One of these is the cost. Organic foods typically cost more to grow or to raise the livestock because the farmers are not using the cheaper chemicals and pesticides. They have to feed their animals organic food and provide them with plenty of grazing time which leads to higher maintenance costs. Farmers must use vaccinations that are not harmful to animals such as the antibiotics used in traditional farming. This can lead to higher expenditures. All of these factors tie into the fact that to eat organic it will cost more money. Organic food tends to spoil faster than inorganic foods. This is mainly because inorganic foods have hormones and chemicals in them that increase their shelf life. Those chemicals take away from the nutritional value of the produce or meat. It is a situation where a consumer must choose between a longer shelf life or higher nutrient levels. Whether to eat organic food or not depends on the individual person. Jenna Harding, a tenth grader at Oakdale High School, stated that she would rather eat organic food “even though it costs more” because it is healthier than inorganic food. How important is it to you to eat healthily? Is it enough that you are willing to spend a little more money, or would you rather save some money and eat inorganic food? Debra Gearhart, a grandmother of five, commented, “The benefits of organic [food] outweigh the cost because of the harmful pesticides. I’m sure if they are truly organic they are much better for [your] overall health.” She went on to explain that she would rather eat organic food because it is better for her health, but sometimes she buys the inorganic food because of the cost differences. While some people think the benefits outweigh the drawbacks, others are not bothered by the chemicals and hormones added to preserve their foods. At the end of the day, it is an individual’s decision and opinion in the matter that determines their decision. There are a lot of requirements that must be met in order for a food to be marketed as organic. Organic foods are healthier for you to consume, but they are not as cost effective as inorganic foods.